Al Palazzo Lion Morosini i Venezia, Italia: Bestill nå! location for visiting Venice on foot or by boat (the closest stop is only 2 minutes :-), convenient to visit the main monuments and the main shopping streets. 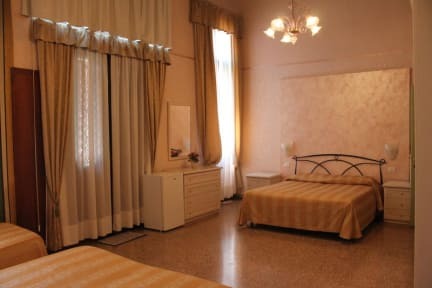 We offer free luggage storage, room air conditioning, desk information: Murano Burano Torcello tour as well as concerts, ballets and shows. 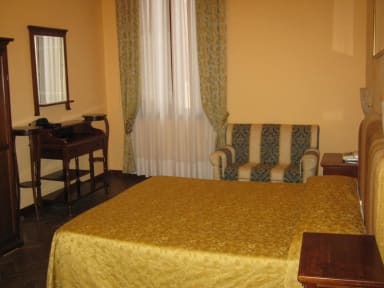 The rooms each one is very different, some overlook the Canale of San Giovanni Grisostomo where pass the Gondolas and other overlook the internal court( this room type (economy room) is small and with whitout view, and the most beautiful room has the view on the Grand Canal. Please note we have a 3-day cancellation policy Please note the local tourist tax is not included in the online rates and is due to be paid upon arrival at the property directly. Check in time is from 2 P.M. to 9 P.M.
Late check in ( after 9 p.m.) there is a little extra fee (15 euros until midnight , 35 if after midnight) payable at check in only in cash!! we remind that our Reception IS NOT OPEN 24 HOURS, so it is absolutely necessary your arrival time . The guest house reserves the right to pre-authorise credit cards prior to arrival. One child under 2 years is charged EUR 20 per night and person in a baby cot. One older child or adult is charged EUR 30 per night and person in an extra bed.